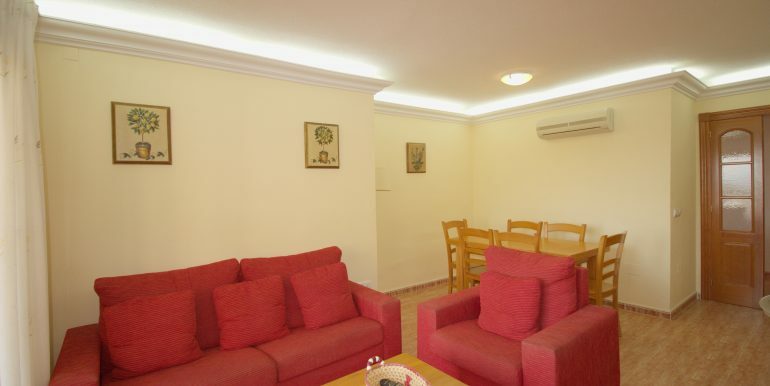 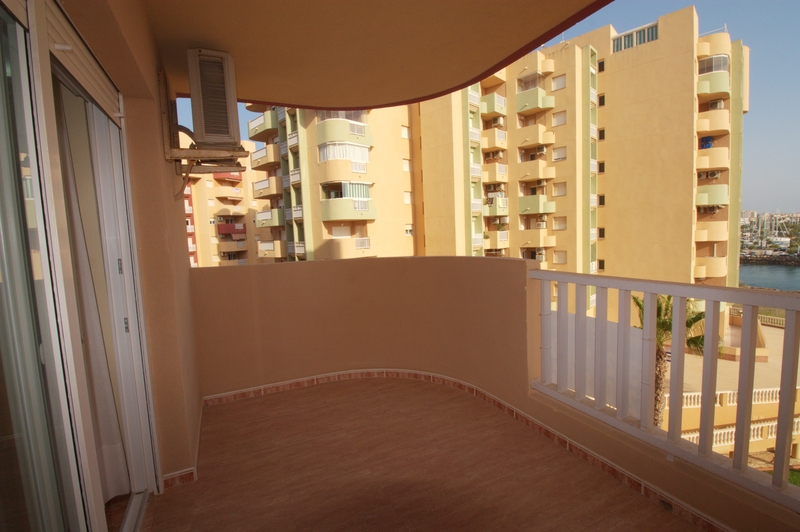 Two bedroom / two bathroom bright apartment with terraces and beautiful views from both bedrooms and from the living room. 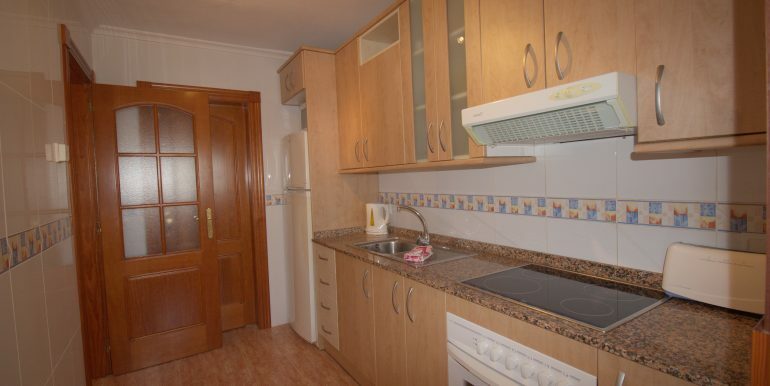 The independent kitchen is fully equipped and includes a storage room. 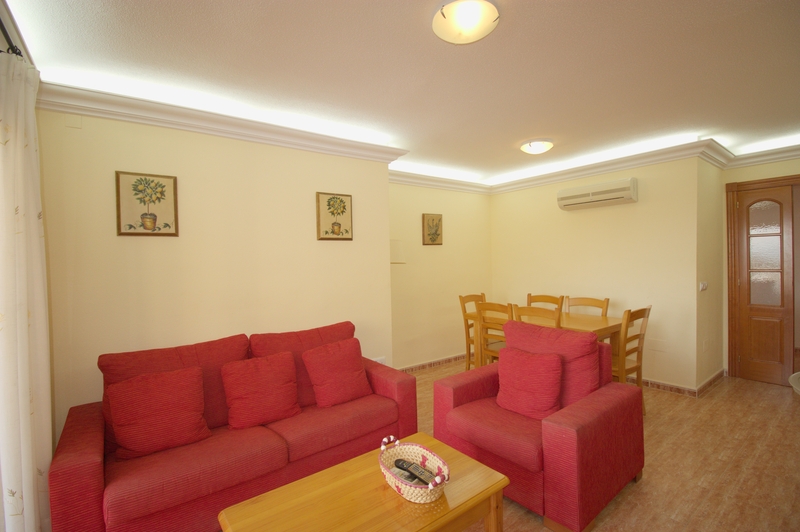 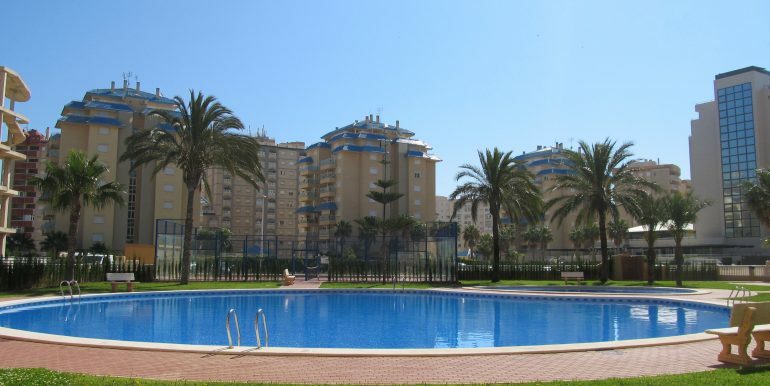 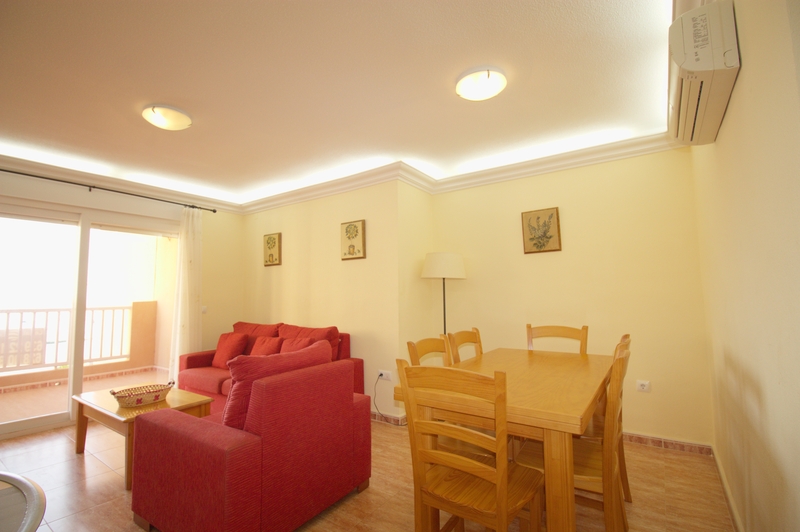 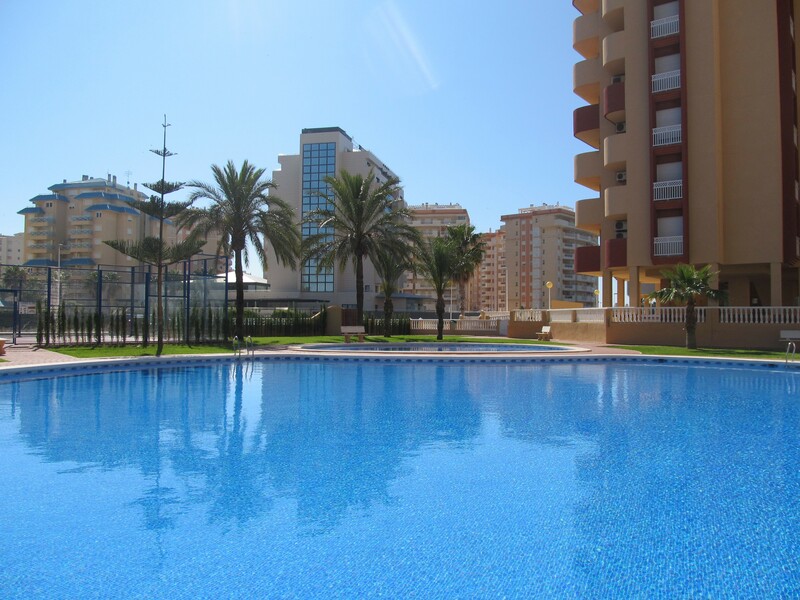 This beautiful apartment is located in Los Miradores del Puerto, a development with ample communal pool, lawn, paddle court and even a children’s playground. 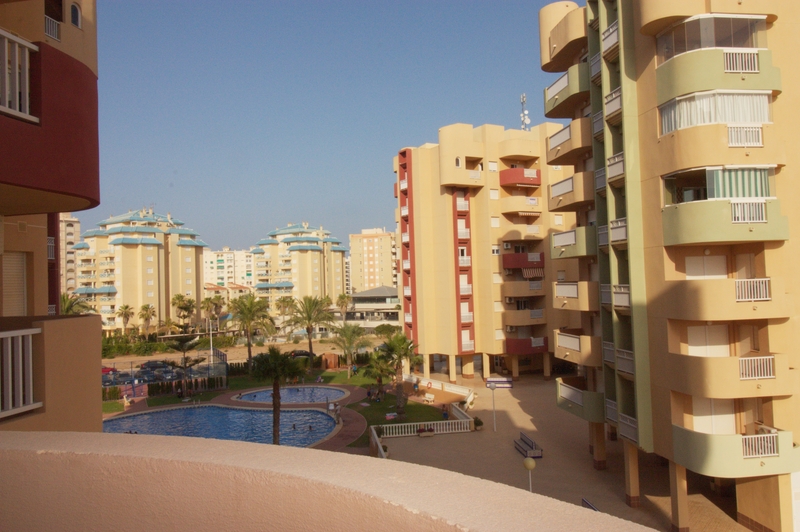 Besides, there is a great sense of community as groups of neighbours are organised to practice sports. 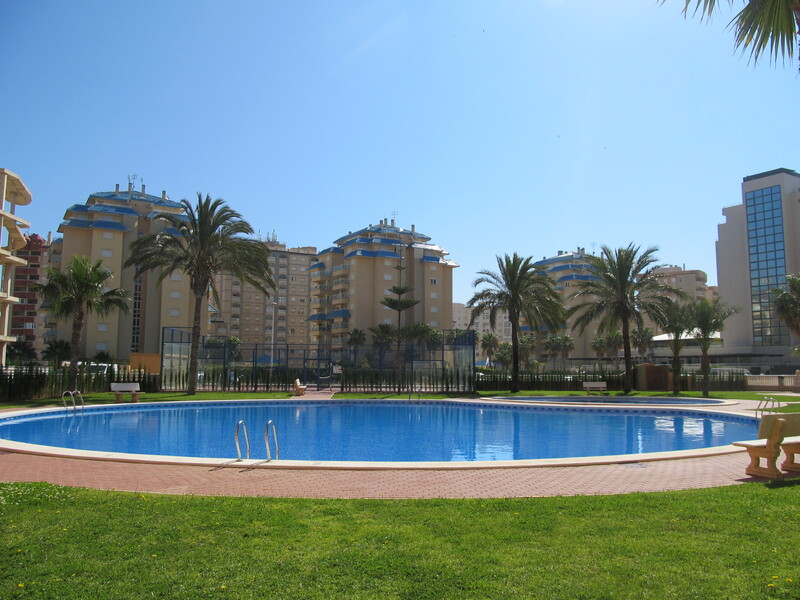 And what is more, a special chair for the pool is available in summer months, so people with reduced mobility can also enjoy a good swim! 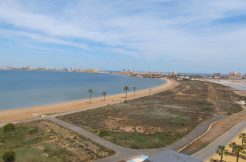 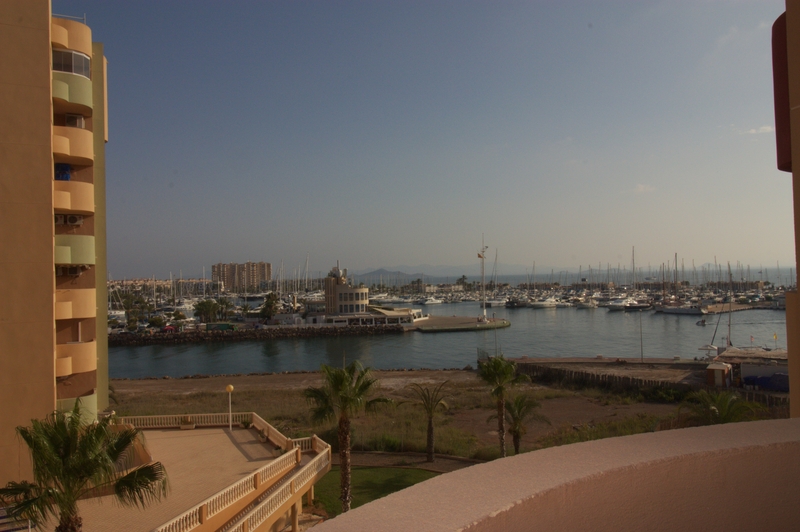 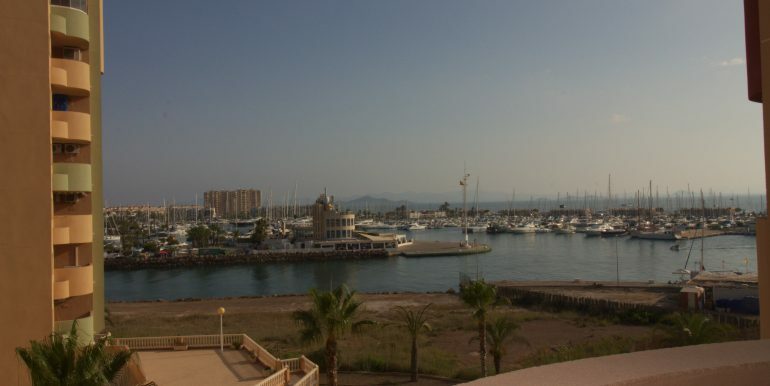 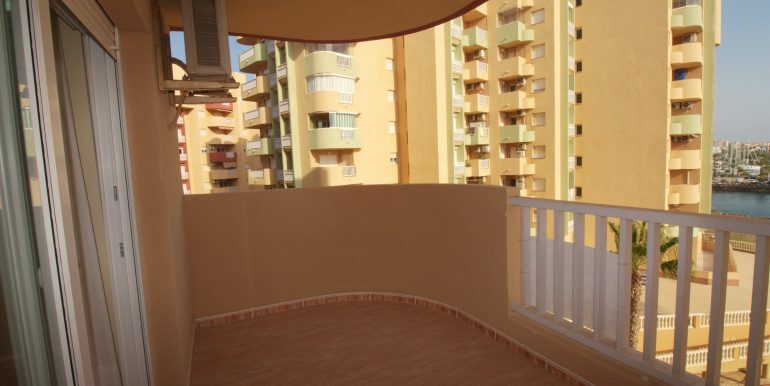 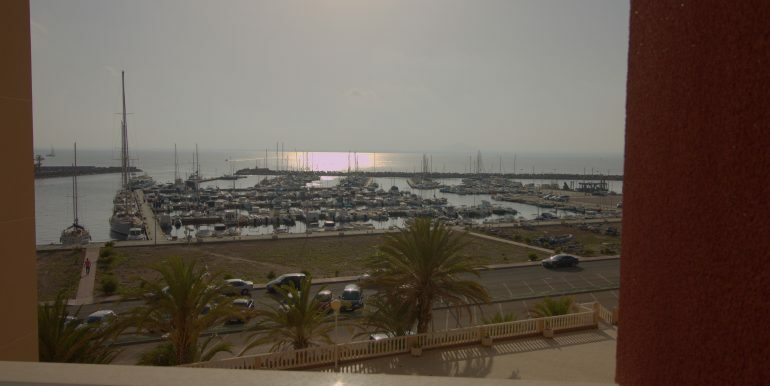 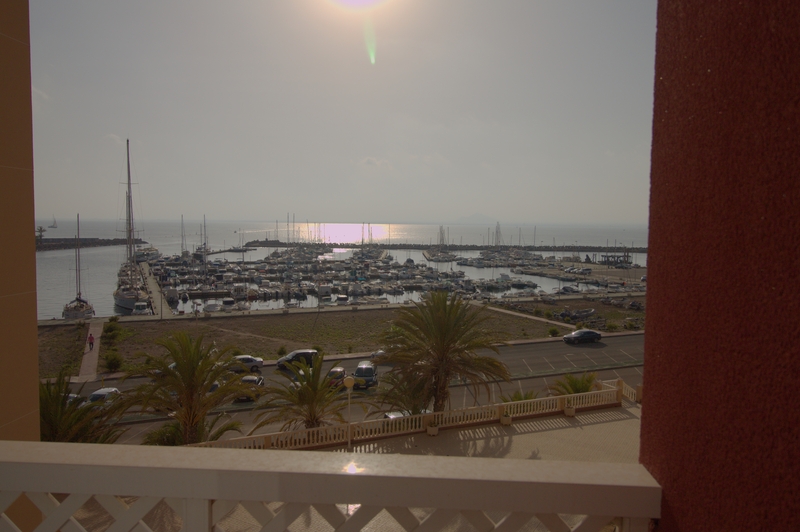 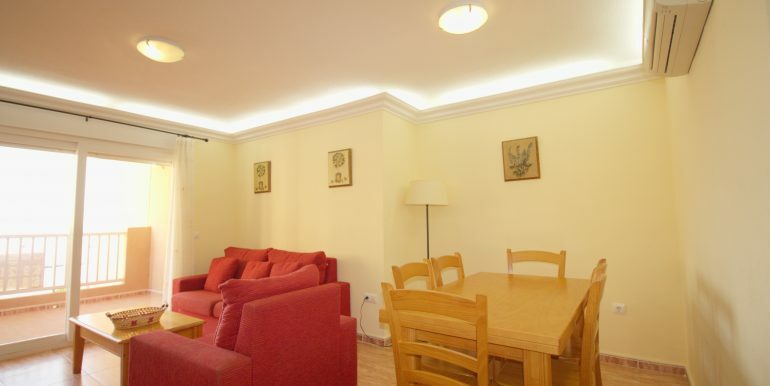 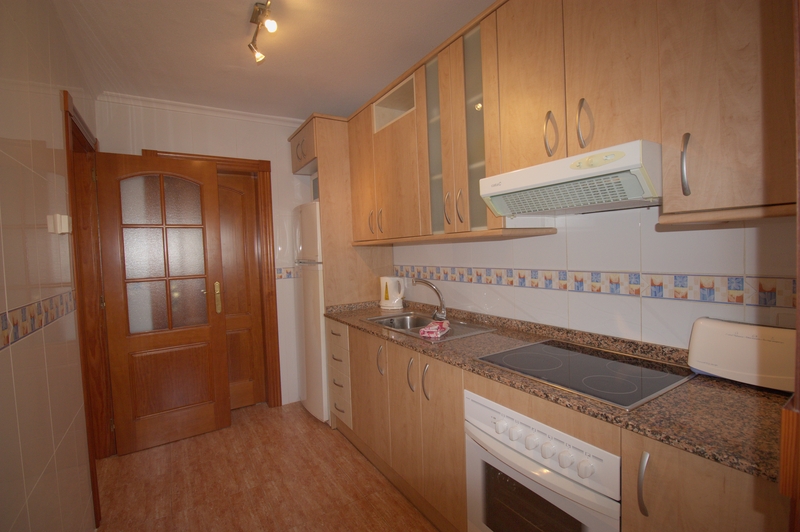 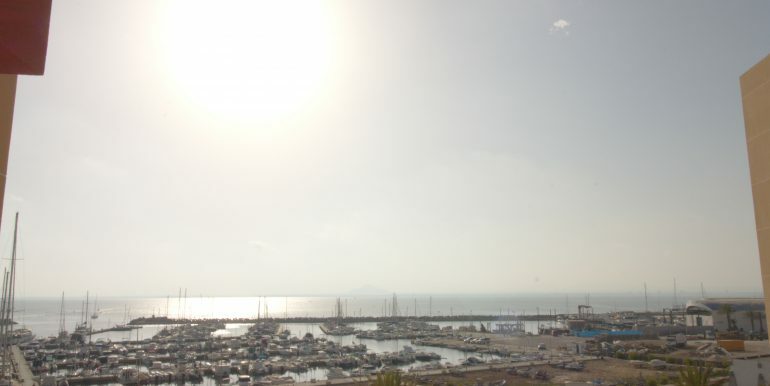 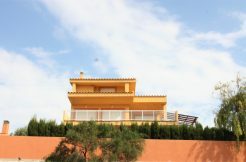 Conveniently located in front of Tomas Maestre Marina, it has got direct access to a promenade from where to enjoy a nice walk, the sights to the marina and the beautiful sunset over the Mar Menor. 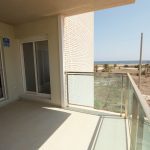 There is a supermarket less than 2 minutes away from the apartment -open along the year and the sandy beach of the Mediterranean is a short walk, too -only 300m away. 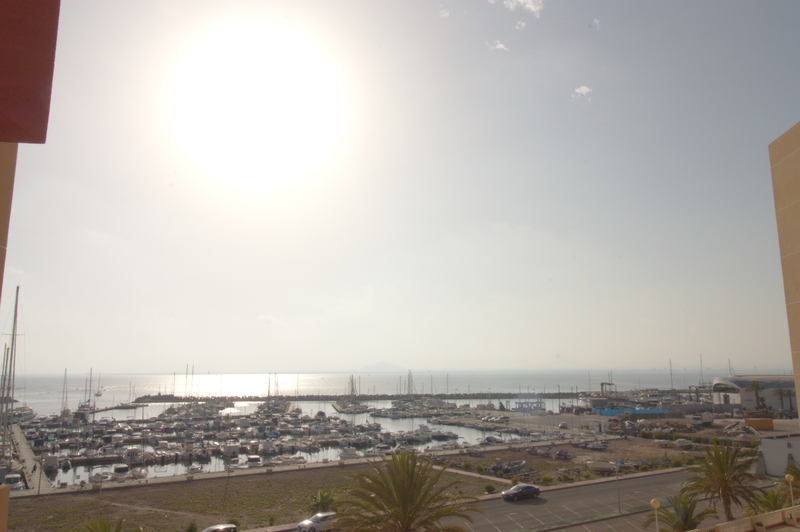 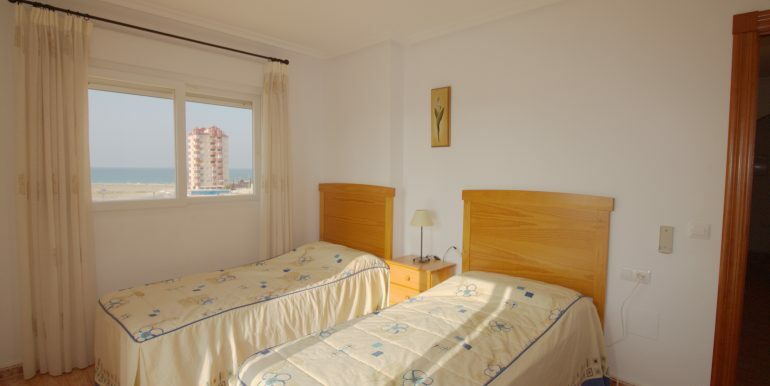 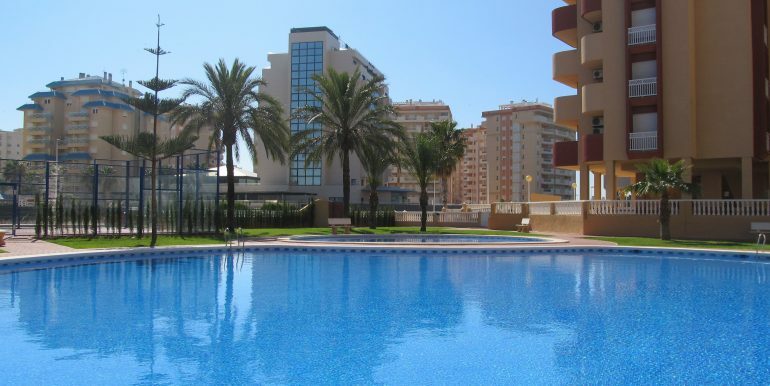 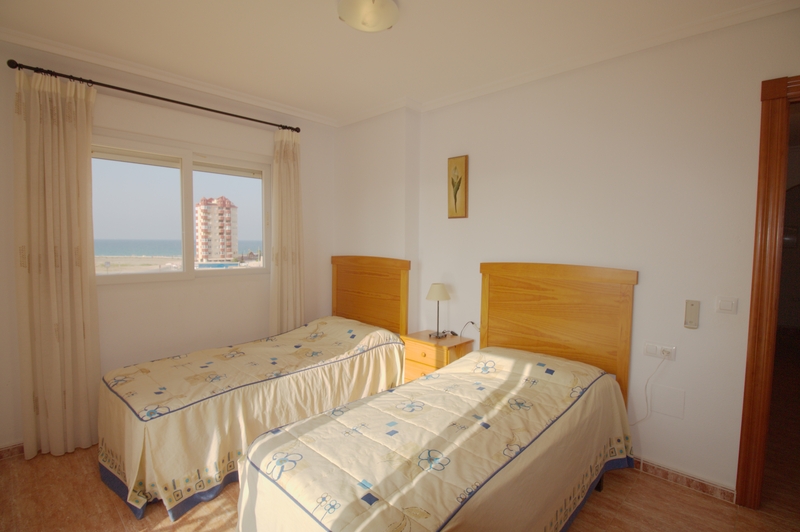 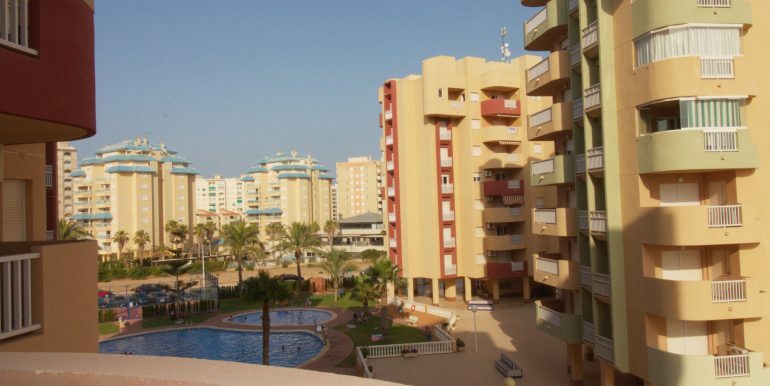 Tomas Maestre Marina is quite close, where an ample variety of restaurants, bars and shops can be found.